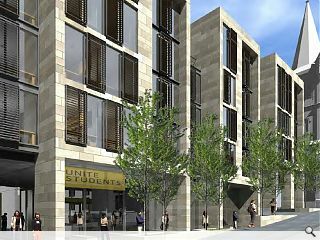 Student housing developer Unite have staged a public consultation into its £38m development of 579 beds in Edinburgh’s St Leonard’s Street, presently home to a redundant retail unit. 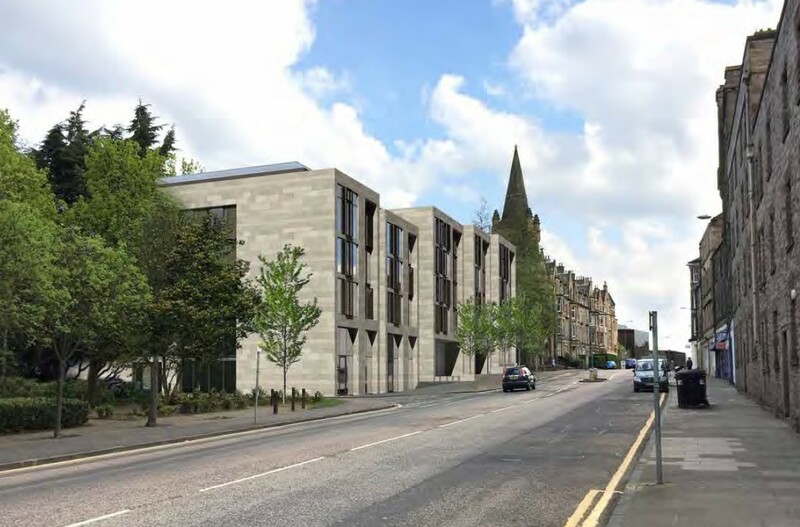 Proposals drawn up by Allan Murray Architects call for the inclusion of a ground floor retail unit or health centre together with an access pend leading to a central courtyard, which could be utilised as a Festival venue. 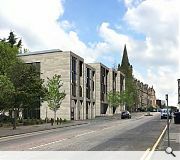 This will see the street frontage restored with a variegated profile of discrete frontages framing views of a neighbouring church and Salisbury Crags. 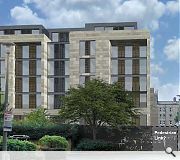 Landscape improvements to the 0.7 hectare site will include tree planting, external seating and raised planters together with the introduction of natural stone paving. I'm not a fan of Unite - they've been responsible for a rash of horrors across the UK that I suspect wouldn't have made it through Planning had the student resi sector not been the only game in town during the post-crash years, and their over-priced flats represent pretty poor value-for-money for our debt-laden students. 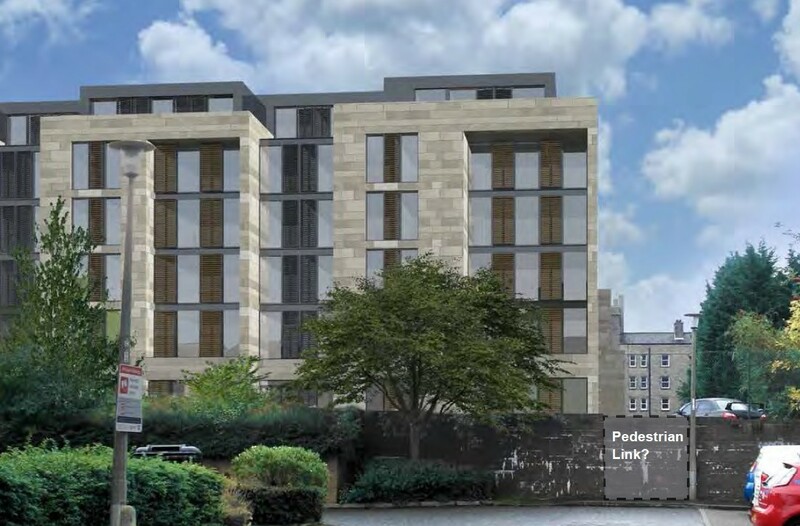 That said this looks like a decent piece of infill in an area crying out for some townscape repair, and might ease pressure on the overheated private rental sector in this part of Edinburgh. Cautious welcome then. 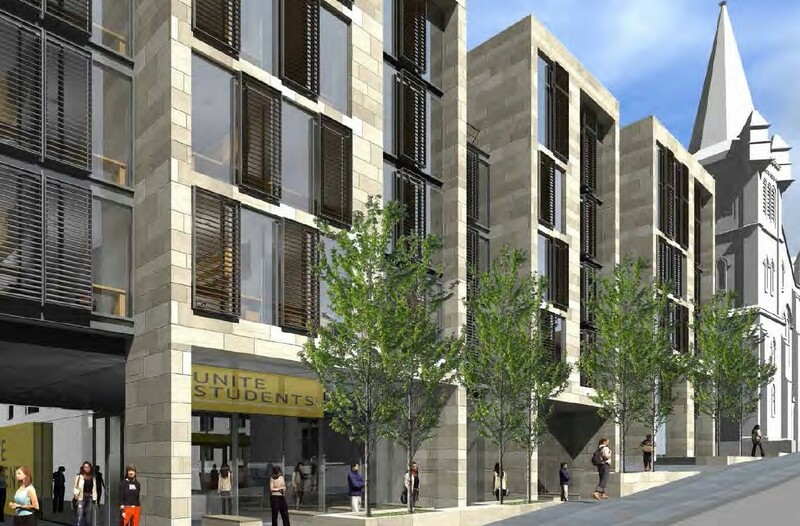 Unite is well aware of the guidance on the density of student population in the community, CEC Planning Dept is well aware of (their own) guidance on the density of student population in the community. And yet, Unite persists with this application, which CEC Planning should reject according to their guidance. Will they? Let's see!